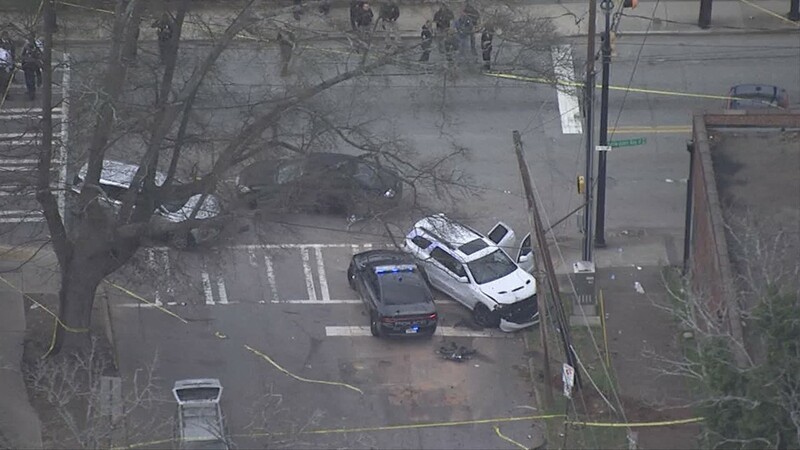 ATLANTA — Law enforcement officers responded to an officer-involved shooting in Atlanta where a suspect was shot after an officer was hit by the suspect's vehicle. 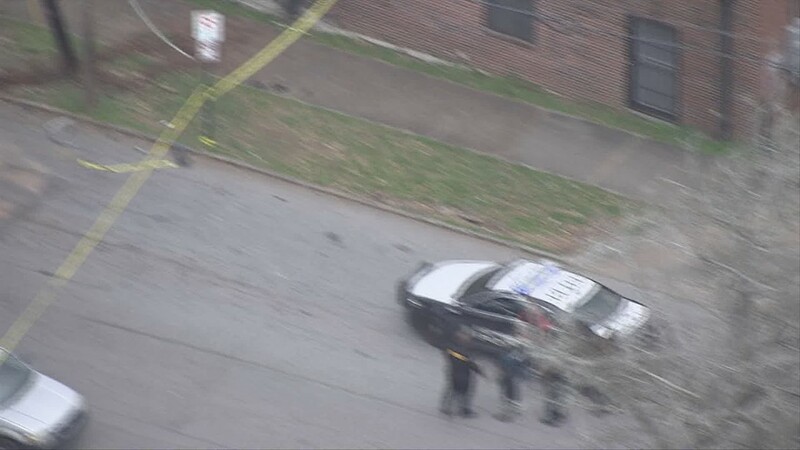 According to Atlanta Police, the shooting happened near Martin Luther King Drive at Whitehouse Drive. Atlanta Police Deputy Chief Jeff Glazier said they, along with East Point Police, have been investigating slider crimes and auto thefts in the area. 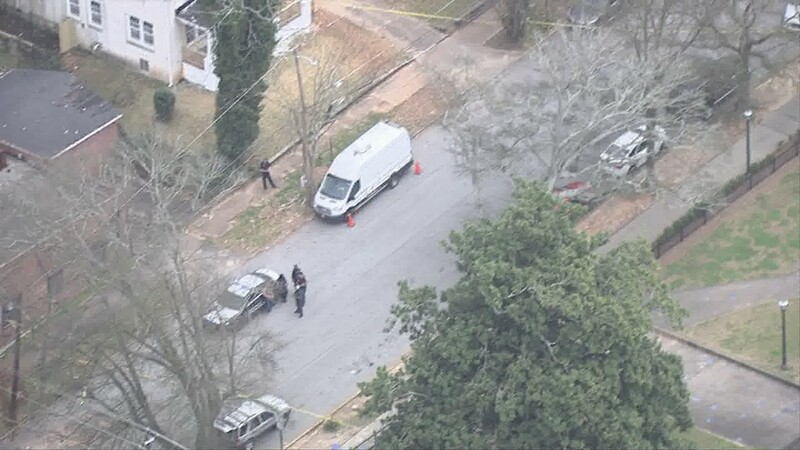 The investigation led them to believe that some of the suspects live in East Point and Southwest Atlanta area. The crimes have been occurring in several jurisdictions in metro Atlanta. Glazier said Tuesday around 3:30 p.m., officers spotted a white Durango they believe has been used in multiple auto crimes. 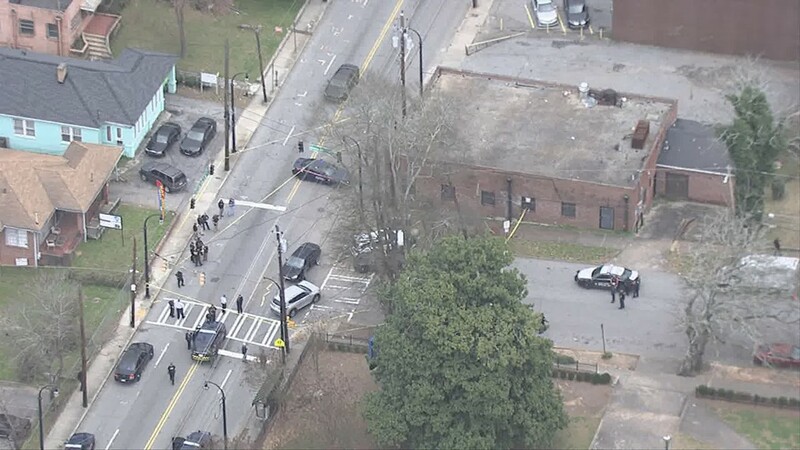 The air unit along with officers in their patrol cars followed the vehicle from southwest Atlanta to East Point - then back to southwest Atlanta. "The suspect in the white Dodge Durango learned that he was being followed and he decided to speed off," Glazier said. "He tried to make a sharp turn on M.L. King, crashed into two undercover vehicles and he crashed his own vehicle." Some of the officers got out of their vehicle to attempt to take the driver into custody. "The driver decided to use his vehicle as a weapon," Glazier said. One of the officers who was getting out of his vehicle was hit by the suspect's SUV, according to Glazier. The officer was taken to the hospital for his injuries. Glazier said the officer has a possible concussion and injuries to his legs. He was later released the same day. 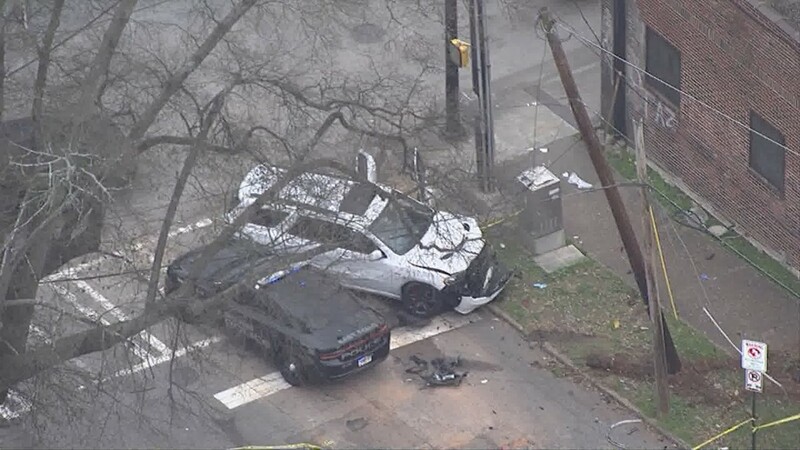 "When that happened, multiple officers from East Point and the City of Atlanta Police Department fired at the suspect," Glazier said. The suspect - Willie Banks - was shot in the knee and taken to the hospital in stable condition. He was also wanted by authorities in Gwinnett and East Point for theft by taking and theft by auto, respectively. The scene where all of this unfolded was close to Washington High School. School officials told 11Alive the school was on a brief lockdown, but it has since been lifted. Police also said they took a passenger that the driver dropped off near Six Flags into custody. Police believe both men could be linked to several crimes. The Georgia Bureau of Investigation has been called in to investigate. This is one of three officer-involved shootings GBI has been called in to handle, just on Tuesday. The first happened in McIntosh County near the Georgia coast. The other happened just moments after the Atlanta shooting in Walton County.